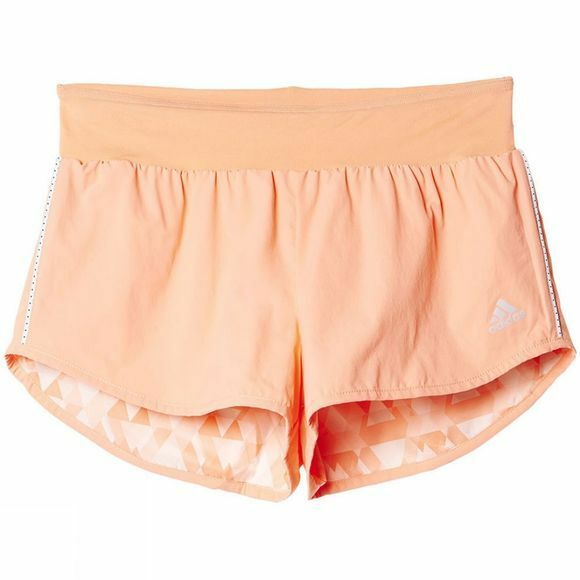 The Adidas Women's Run Reversible Shorts keeps your body dry by drawing sweat away from the skin. The shorts have an inner key pocket and reflective detailing allowing you to run in the dark. A super short length and featherweight ripstop fabric give these reversible women's running shorts a barely-there feel. Climalite® pulls sweat away from skin and moves it to the outside of the fabric, where it can evaporate quickly.